Ralph Zuranski: Hi, this is Ralph Zuranski, and I’m on the phone with DJ Dave Bernstein. He’s the www.HiFiWebGuy.com. He takes sound ideas for marketing mastery and is the go-to person for editing audios and videos for the seminar industry. How are you doing today, Dave? DJ Dave Bernstein: I’m doing great. How are you doing, Ralph? Ralph Zuranski: I’m doing good. I think there’s probably nobody that goes to more seminars than both you and me. I see you everywhere, and you do a lot of interviews, don’t you. DJ Dave Bernstein: I really do, yes I enjoy talking with people at the seminars. It really gives me great inspiration. Ralph Zuranski: Can you tell me exactly what you do? DJ Dave Bernstein: Well, I basically work with multi-media online. In a nutshell, I do everything having to do with audio and video, specifically audio. I help people get audio online. I do interviews. I do editing. If it involves a microphone, I’m basically doing it. Ralph Zuranski: I’ve heard a lot of your work and it’s outstanding. DJ Dave Bernstein: Why thank you! Ralph Zuranski: I really appreciate you giving me the opportunity to ask you these heroes’ questions because you’re sort of a hero to me. In all the work you do, and all the seminars you always have such a positive attitude and you’re always willing to go above and beyond to help people who are there at the seminars. DJ Dave Bernstein: Well, that’s very nice of you. I feel the same way about you. I know how many seminars you go to, and I know you are constantly taking photos. I don’t think you ever get a chance to sleep as a matter of fact. Ralph Zuranski: Yeah, that’s probably true. Well, it’s a lot of work to get all that knowledge and take all those photos at the same time. Ralph Zuranski: Let me ask you this question. What is your definition of heroism? DJ Dave Bernstein: I think my definition of heroism is anyone who helps others find solutions to problems. I mean, it can be difficult problems, it can be simple problems. I’m not saying necessarily the pharmacist is a hero to me down at the local Walgreens, but basically people who are dedicated, they’re faithful, they walk the walk. They have courage, courage is very, very important, obviously, but somebody who takes the time to help others. If you take the time to help others, I think that’s really what a true hero is all about. Ralph Zuranski: Did you ever create a secret hero in your mind that helped you deal with life’s difficulties when you were younger? DJ Dave Bernstein: It’s funny. Hero to me was actually a real person and might be the strangest hero you’ve ever heard of and that would probably be Casey Kasem of the American Top 40. When I was growing up, I knew that I wanted to do something with a microphone, and Casey Kasem, when I would listen to the top 40 countdowns…have you ever heard of the long distance dedications? Ralph Zuranski: You know, I haven’t. Unfortunately, we can’t do that. But we can solve problems very simply, and that always carried over with me, over into my adulthood. Solve problems in the simplest way you possibly can. And so Casey was kind of a hero to me as I was growing up. Ralph Zuranski: Wow. So when people wrote in about the problems, he would discuss the problem and he would play a specific song that answered their problems. DJ Dave Bernstein: Absolutely! It was just that simple. It was almost too simple. And I could live vicariously through other peoples’ problems just by listening to the Top 40 Countdown. And, as I grew up, I started to realize that everybody has problems and sometimes you can just solve them in a song. Have you ever heard a song on the radio and it just reminds you of somebody. DJ Dave Bernstein: That’s kind of the way that I am. Songs remind you of people, songs remind me of places and times in my life, and songs can be very very powerful. Music in general can be very, very powerful. Sometimes you can be motivated by something that is very up-tempo, sometimes by something that is very passive, just inspires you So music can be a very powerful thing and combining music and psychology- it’s something that was very, very instrumental growing up in my life. Ralph Zuranski: Wow. That is amazing. I know how much music impacts people, especially music from when you’re growing up. Everybody goes back to reminisce with the music of times that were good or times that were bad, but I think most people focus on the good times, and the music that was playing at that time. Ralph Zuranski: What is your perspective on goodness, ethics, and moral behavior? DJ Dave Bernstein: Well, obviously, you want to walk the walk and talk the talk, and always be an honest person, and I don’t see any reason why somebody has a need to be bad any time in their life. I mean, I’m always brutally honest, to be honest with you, I cannot. I’m a terrible liar, so I wouldn’t be a good liar in the first place! So, it’s always best to be on your best behavior, and it’s always best to do what you say you’re going to do, and don’t make promises you can’t keep, and just quite simply, in the industry we’re in, in Internet marketing, there’re a lot of people out there who are incredible marketers but they’re a little less than ethical and I really think that the more you attend seminars, like you do, like I do, you can start to smell a lot of the B.S. There’re a lot of people out there that are totally ethical. They are greater than the greater good, and these are the people that I enjoy hanging out with, talking with, and modeling my business after. And I don’t see any reason why a person needs to be unethical to succeed in business. Ralph Zuranski: Boy, you know, I agree with that. Are there any principles you are willing to sacrifice your life for? DJ Dave Bernstein: Absolutely. I always tell my kids all the time- well, I don’t tell my kids because this would be a scary thing- but I tell people all the time that I would take a bullet for my kids, I would do anything to save my children. My children mean everything to me. In fact, they are the driving factor that keeps me working as hard as I do. I really do protect my friends as well; I had an opportunity to protect my friends at the seminar that I recently went to. Where, there was a hotel guest that was bothering one of the seminar attendees, and I basically told him, that you know, he needed to keep his volume down, and you know, and kind of treat her a little, a little nicer, and I really do try to take care of my friends and the people that I care about. Hopefully that answered your question okay. Ralph Zuranski: What was the lowest point in your life, and how did you change your life path and win a victory over all your obstacles? DJ Dave Bernstein: The lowest point in my life is something that I think about every now and then, but was thinking about quite heavily a couple years ago, and that was when I went through a divorce. And the ironic thing is that divorce was meant to happen, I am not upset about losing that marriage because it very much a battery drainer on my life. I was married to a person that was not interested in what I was doing, and quite honestly, I was married to a person who was very unethical, very sneaky, was not a hard worker, and that’s not really what I’m about. How did I change my life to one of victory over the obstacles. I basically dedicated my life to the things that mattered most to me. That was: my career, my children. And I never ever ever go a day in my life where I don’t think about what I can do to improve my children’s lives, what I can do to improve my career, and how I can help others do the very same thing. Ralph Zuranski: Do you have a dream or a vision that sets the course of your life? DJ Dave Bernstein: I think my biggest dream is watching my children succeed in what they want to, my kids have both taken an interest in using audio and video to express their thoughts. I actually have a website up which is www.DaddyDays.net and the kids have had an opportunity to experience what I’ve done, and over the course of the last year, they have said to me “Dad I want to be a television reporter.”, “Dad, I want to be on TV”. And if they could succeed doing what they want to do, in a way that is influenced by me, that would be incredible to me, I would love to see my kids succeed in anything they put their minds to. Ralph Zuranski: Do you take a view, a positive view of setbacks, and misfortunes, and mistakes? I know that everybody has those on a daily basis. So, what is your view of that? DJ Dave Bernstein: Oh, absolutely everyday I wake up is a great day as far as I’m concerned. The first thing I do in the morning is, you know, think about what I did not accomplish the previous day, and I try to go ahead and accomplish it that day. So, even little things, like things that didn’t get accomplished and big things, you know, major setbacks, you know, if somebody is sick, if you know, a job opportunity did not come through, if anything is a mistake or setback in the course of the day, I absolutely try to look for the best part of it. I want to make sure that I never take a negative view into any day, and I certainly never go to bed angry. I think that’s probably one of the worst things you could possibly do, is take any problems of the previous day and bring them into the next day. So, um, I definitely am an optimist in that aspect. Ralph Zuranski: Do you feel that optimism is important? DJ Dave Bernstein: Oh! Absolutely! I mean, there’s no room for negative people on this earth. I mean, I know that everyone needs to be negative every now and then something is happening and you just can’t express your feelings in any other way than just kind of being, kind of giving people the stink eye if you will, but you know, optimism, optimism drives everything else. Optimism drives lives, drives courage, it drives people to succeed. It drives- you know, there’s nothing optimistic in having a smile on your face, and when people see smiles on your faces, they want to be an optimist. They want to succeed. They want to live for the greater good. So, um, not only am I an optimist, but I feel that it’s crucial that you’re an optimist not only for yourself but for other people as well. Ralph Zuranski: Does it take courage to pursue new ideas? DJ Dave Bernstein: Oh! Absolutely, you have to be able to recognize an opportunity when you see it, and opportunity is only as good as being able to recognize it, and it takes the courage to maybe do something that you have never done before. I’ll never forget the very first time that I went to a live seminar, I had to leave my house for 5 days, and that was out of my comfort zone! I mean, it was kind of a bizarre thing, and like I said, I was at that time married to a person who didn’t quite understand why I was doing that. But it took a lot of courage to get out of my comfort zone and everything that I’ve done since then is because of taking the courage to pursue something that I had never experienced before. So, absolutely, it takes courage. Ralph Zuranski: So you think that when you do pursue new ideas, that you will experience some discomfort in pursuit of your dream? How important is it to be willing to experience discomfort? DJ Dave Bernstein: Oh! Crucial. In fact, for me, I am happiest when I am uncomfortable. And that might be a strange thing to say, but I never like to be too comfortable. You work out a lot, you know, with weights, right, Ralph. 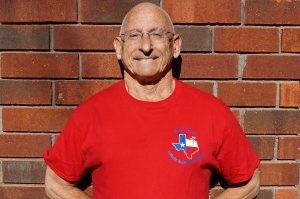 DJ Dave Bernstein: So, you know that to experience muscle growth you must go past comfort zone, and if you do the same amount of reps or the same amount of weight all the time, you are never going to experience any growth! Well, it’s the very same thing with business, very same thing with your personal life. You need to experience just a little bit of discomfort to grow and to pursue your dreams. So, I always try to maintain a little discomfort and stretch myself just a little bit, and see exactly what I’m capable of. Ralph Zuranski: How important is it to believe that your dreams will eventually become reality? DJ Dave Bernstein: O! It’s very very important! If you don’t think that your dreams can become reality, then you have no business pursuing them. If there’s something that you want, you have to have the belief, you have to have the drive, you have to dedicate your daily life in taking little tiny baby steps in trying to make them come true. My girls wanted to go ice-skating recently, and they needed to take ice-skating lessons, and they had a dream of becoming an Olympic skater. Although that’s a very big dream, they don’t get to become an Olympic skater unless they take that very first ice-skating lesson. So, they know that, and they still have those dreams, and they’re very happy because of it. Ralph Zuranski: You know, everybody has doubts and fears and sometimes they’re paralyzed by them. How do you overcome your doubts and fears? DJ Dave Bernstein: That’s a good question. Obviously remaining positive, writing down my goals, writing down my thoughts, getting some time alone to think about how I can conquer them, I’m very self sufficient, I don’t really have too many things that I’m fearful of, I mean, I’ll give you an example. When I went into the hospital a couple years ago, I did not like getting my blood drawn, and I’m not a very big fan of needles. But, I knew I’d have to go in there and give some blood at the hospital. And basically, I took some time before they did that and just a couple minutes to think about the positive things that were happening because of this, and obviously I would become healthier, obviously they would be better able to diagnose what was wrong with me if they took the blood, and so I kind of gave myself a pep talk, so I tend to be very self sufficient in my own pep talks and usually I can overcome just about anything if I can think of why this is going to be a good thing as opposed to being a bad thing. Ralph Zuranski: Is there anything that helped give you the will power to change things for the better in your life? DJ Dave Bernstein: Well, like I said, I’m kind of self sufficient. I don’t want to sound uh, you know, too cocky when I say that I kind of help myself. But that’s probably not the answer that you’re looking for. I will say that my dad did help me out a lot and my mom was instrumental. My brother, who divorced the very same year, also he gave me some suggestions, such ideas as making sure that I stayed on the straight and narrow and I think that, just basically, my family helping me out, but again, you’ve got to get it right in your own mind as well. Other people can only help you and take you so far. You have to say to yourself “you know, I can do this, it’s all, it’s all up to me”. Unfortunately, it’s the converse in the lives of other people. Sometimes the family members tell you you can change things and you are very negative. You get maybe suicidal thoughts. You get the thoughts or you get the thoughts “oh you know, life is over. There’s nothing you can do about it right now”. So it is important that you get it right in your own mind, and that you accept the input of others, and that you let others be part of your life. I always have an expression “if you don’t let other people care, they won’t”. And you need to let other people care about you, and be a part of all the good things in your life, and you know, of course all the bad things in your life. Ralph Zuranski: Do you readily forgive those who upset, offend, and oppose you? DJ Dave Bernstein: Oh yeah. I really don’t hold too many grudges. That unfortunately was a part of my past married life. I was, you know, married to a person that DID hold grudges, it was quite often that she would bring up things from 4 years prior, 5 years prior, very very suicidal for a relationship, and I’ve never been like that. People make mistakes. Sometimes people have bad days. Sometimes people say things that they really don’t mean. You know, if something is said that I feel could have been said in a different way, I’ll always tell somebody, but I don’t really hold too many grudges. I mean, life is too short and there’s too many good things to happen to you and your future to hold other people back and hold yourself back simply because of maybe a comment or something was done that you didn’t like. Ralph Zuranski: Do you experience service to others as a source of joy? DJ Dave Bernstein: Oh! Absolutely! In fact, that’s probably one thing that you’ve seen me do at the live seminar. It’s that I enjoy going around helping other people, and I don’t need any recognition, I don’t need any monetary compensation. Something that just happened at the past seminar…one of the attendees was having a problem getting some audio on the web, so rather than sit in the seminar room and learn how to do something, we were out in the hall with a laptop, actually doing it, and actually helping him experience not just joy but success. And that’s what I base my whole business on. Watching other people to succeed. You do interviews, you like watching other people succeed. I do interviews. I love watching other people succeed, otherwise, you know, we’ll just be interviewing ourselves! So, absolutely, when I interview people, I want to make sure that we put the spotlight on them. When I help people, I want to put the spotlight on them. And that’s what it’s all about- serving others. Ralph Zuranski: What place does the power of prayer have in your life? DJ Dave Bernstein: Oh! It has a very big meaning to me. I go to church. I don’t want to suggest that somebody go to church 52 weeks a year, or zero weeks a year, but I go to church. I don’t go as often as I would like to, because, like you, I’m gone a lot of weekends. However, I think that whether you go to church or not, you should have prayer in your life, and I think it should be very private thing which you never need to explain to others. Sometimes you like to pray with other people, sometimes you like to pray by yourself. Quite often, you know, I will talk to myself. I will talk to myself, I will talk to God, again everyone has their own way of doing it, but I think that if you keep things inside, you’re going to little by little break down your body. I think that you need to get things out sometimes it’s just a matter of getting others’ suggestions, sometimes it’s just a matter of praying in general, and sometimes you want to pray with a specific intent in mind. You want to talk to God or your Lord or whomever you speak to, and just kind of get it out. You know, I’ve been drawn to tears sometimes. Just simply by the things that I’ve said to God. Ralph Zuranski: Do you maintain your sense of humor in the face of serious problems? DJ Dave Bernstein: I think you know me by now! I think you know that I’ve got a good sense of humor about just about anything! I try to definitely laugh about everything. I am very self-effacing. People can laugh at me anytime, you know, I have friends who are constantly ripping me about, you know, silly little things, and those during the good times. Now, when bad times happen, yeah, absolutely. I mean, my mother has gone through cancer. My kids have gone through illnesses. I’ve been at the hospital because of surgery and you know, I constantly smile, and think of “no problem, when I get out of surgery, I’ll going up and down the mountain or I’ll be lifting weights in no time”. So, absolutely, you’ve got to smile about just about everything in life. Ralph Zuranski: Who are the heroes in your life? DJ Dave Bernstein: The biggest heroes in my life are my children, I can tell you that. They’ve been through an awful lot the last couple years watching their parents split up and you know, you say “how can a 8 year old and a 4 year old be heroes. Well, these are, well, you know children just as well as I do. Kids generally tell you what’s on their mind, kids just kind of roll with the punches. I am just amazed at how they’ve been able to have a sense of humor in the face of serious problems. I’m amazed every single day. If you’re looking for adults who’ve been heroes in my life, Ralph, you’re a hero in my life. I mean, you go around, all over the country, talking to people, taking pictures, and just giving people experiences. When people see the pictures of themselves on the web, when they hear the interviews, you know, you have a way of just squeezing every juice of inspiration out of somebody, and that’s a very heroic thing! Ralph Zuranski: Oh, well thank you! DJ Dave Bernstein: Oh, you’re welcome! Ralph Zuranski: People realize I love them as people regardless of what’s going on in their lives. DJ Dave Bernstein: You care!!! And that’s the most important thing. You care about people! I hear the way you talk about your parents. And that is a very heroic thing. And sometimes people are afraid to look in the mirror and see themselves as being a hero. DJ Dave Bernstein: And I guess it’s up to me to tell people that yes, Ralph Zuranski is a hero! Although, you are too modest to ever say that of yourself, of course! Ralph Zuranski: Yeah. No, I could say that about Captain Biorhythm, my other alter ego. Ralph Zuranski: But I retired him! Once I lost my buffed out body now that I’m taking care of my parents and can’t work out all the time any more! So who are the heroes in society whom you don’t think are getting the recognition that you think they deserve? DJ Dave Bernstein: There’s one gentleman that I had an opportunity to meet during the past summer, and I think you’ve met him as well. Are you familiar with Orrin Hudson. Ralph Zuranski: Orrin. Sure, he one of my heroes. I did my Heroes Interview with him. DJ Dave Bernstein: Oh! Great! I didn’t even know that. Orrin, he, for those listeners who are not familiar with Orrin Hudson, he actually teaches intercity youth how to play chess and he does this to relieve them of a lot of the problems and crimes that they are exposed to on a daily basis. I’m going, Wow, that’s amazing, I mean, to get gang members, and disadvantaged children to play chess, to not only learn how to escape problems but to experience positive things in their lives. That’s incredible! And you know what- all the teachers that are out there, maybe are making minimum teaching wages, and are teaching the kids, second graders, third graders, fourth graders, I’m dating a third grade teacher right now, and she’s an incredible hero to me. And I don’t think she even knows it. But, she’s changing the lives of children. I think that anybody pretty much changing the lives of the future of America, the children, they’re absolutely heroes in my eyes. DJ Dave Bernstein: Because sometimes they can’t look up to people who mean the most to them. Their parents, their grandparents. I know a lot of kids whose parents aren’t very active in their lives. They don’t watch their kids play Little League. They don’t take their kids to recitals, and ice-skating lessons. And their grandparents maybe are no longer here, so sometimes kids need other people. People who don’t really have necessarily a financial gain with this child, but someone who is all about the inspiration, somebody who is all about giving good ideas, somebody that you wouldn’t expect to play a role. I think it’s very important that there be mentors out there even for small kids. I mean, I’ve got mentors in my life and many of them are adults, but I know a lot of children out there who think that life’s just passed them by, and kids out there who’ve been through some terrible things. They’ve been abused, they’ve been dealt a bad deck, you know, they’ve had autism or palsy. My brother’s son is autistic, and I know it’s obviously important for his father to be an important person in his life, but there’s other people out there who’ve dealt through autism. And they’ve succeeded, and it would be wonderful if I could hook my brother’s son up with somebody with this experience with autism and has overcome that to experience success. So I just think that it makes life more worthwhile. DJ Dave Bernstein: Just simply by giving, by caring, by showing an interest. Once again by finding solutions to problems. By just being a part of people’s lives. Ralph Zuranski: Well, how does it feel to be recognized as an internet hero? DJ Dave Bernstein: I don’t even feel worthy yet. I feel so modest about it. I mean, if I were to be considered to be a hero, that would feel awesome. But again, I like to feel discomfort, so it would make me want to be more heroic, it would make me want to do that much more. It would make me- if I were exposed to 50 people, I would want to be exposed to a 100 people, then 200 people. Then get in front of a 1000 people and see how much I can give back. So, it makes me feel very good, but there’s so much more that I want to accomplish. Ralph Zuranski: Why do you think you were selected as a unique internet hero? DJ Dave Bernstein: I would hope that’s because I care, because I spend time with people. You know, I give my time unselfishly because I try to do so. And you know, if I were to pass away tomorrow, I would definitely like that to be on my grade, that I was always there for other people, and trying to let other people know what I know, and try to show people how to do the things I know how to do. In our industry, a lot of people get on stage and they try to sell you a solution to something, to a problem that you have. But it takes a real hero to show people how to do things and not accept any monetary gain from it, and not accept any recognition. I like to tell people that I’m very happy in being the enemic man in the night show of life. I let other people be the Johnny Carson. I’ll be the enemic man. I’m happier with that. Ralph Zuranski: Will being recognized as an internet hero change your life in any way? DJ Dave Bernstein: Oh! Absolutely! It’s something that, again, would drive me every single day. It’s something that would make me want to just be that much more of a giver. I can’t stand- I don’t know about you, Ralph, but when I go to seminars, I can’t stand just going to the conference room every single minute. I like going out in the hall and making contacts. But not contacts necessarily for monetary gain, but contacts to see what these people need. You know, see where I might be able to help them. And I think that’s truly what people should do. I think people should take more time to realize the gifts that they already have, and find some way to give those gifts back and find some way to show other people what they have to share, rather than just to see how much you can learn, because when you just learn learn learn without doing anything about it, that’s kind of selfish. And I think that’s a very selfish way of learning. I think that you need to learn and instantly show other people what you’ve learned. Does that make sense? Ralph Zuranski: Sure. And so that’s how you’re making the world a better place? DJ Dave Bernstein: I do that all the time. I’ve probably done about 6 interviews in the seminar I was at this past weekend, and every one of them wasn’t about me. It was about telling people what I know and just giving people the tools of the trade- I don’t need to make any monetary gain on it. I just want to show the laptop that I use, the microphone that I use. You know, in our industry, these are important tools that we use. And you know, I think it’s our obligation to show people how to do this stuff. Ralph Zuranski: Would you have any good solutions to the problems facing society, especially racism, child and spousal abuse, and violence among young people? DJ Dave Bernstein: I think basically to divert your attention to find, when it comes to the children, when it comes to the people that are being abused, when it comes to the adults that are going through racial abuse, spousal abuse, just basically just wake up every day thinking of good things, thinking about- don’t put yourself in a hole. Don’t think that life, you know, is terrible, and you just want to just end it. I can’t stand people with negative thoughts, I can’t stand people with suicidal thoughts, there’s so many good things that you can do. Think of the gifts that you already have. Think about the things you’re good at. Orrin was great at chess and he also experienced racism and abuse and violence. And he took a gift that he had, and he showed other people who weren’t as fortunate how to better their lives. So, for me, it would be to show people how to express themselves through multi-media. You’re familiar with podcasting, podcasting is when you get an opportunity to express your thoughts, upload them to the web, and other people can listen to your thoughts. And for me, showing other people how to express their thoughts through audio and video, that would be a good solution for me. For you, Ralph, showing people how to express their thoughts through photography. You have taken so many photographs, and some of them have been just incredible inspirations. And I think the ones that are the best are the candid shots that you take. Sometimes when people don’t know the camera is on, and you show somebody helping somebody else or you show somebody giving somebody a hand- those are good solutions. Maybe showing people how to put together maybe a photo album of ways that they can impact other’s lives. Those are two good solutions right there. Don’t be afraid to speak your mind; don’t be afraid to take photographs. Don’t be afraid to use the gifts that you already have to find some way to help yourself and to help others. Ralph Zuranski: Well, if you had wishes for your life in the world, that would instantly come true, what would they be? DJ Dave Bernstein: Probably should have thought about this one, but I’ll see what I can come up with here. Obviously, if they could instantly come true, it would be to have a father-daughter dance with each of my daughters. I know it’s going to take a little bit of time, considering that they are 8 and 4 right now, but that would be one of the most joyous moments of my life. That’s a very personal thing to me. I would love to be nationally known instantly. Not for myself personally, but so that I could give back to others and put together free seminars, just to show/use my talents in the most world-wide way I possibly could. I think that fame is something that a lot of people misuse. I think there are a lot of people out there that take their fame and use it, they are very self-serving, which house is the biggest, which car is the fastest. You know. It drives me nuts. I still drive a mini-van. You’ve seen it. I mean, I don’t need a great car- I just need transportation. I don’t need a huge house; I just need a comfortable roof over my head. But I would like to be famous to show other people that it’s not all about having the biggest this and the biggest that, but to show people that they can be a success and they need to instantly give that back to others. To watch my kids succeed would be a great wish. To watch myself succeed, obviously, but not from a selfish standpoint. And you know, if you know, if you’re talking about the world, I’d like this garbage that’s going on overseas to just end. You know, it just drives me nuts, no matter what you think about the country, the president, whether we should be in war, whether we shouldn’t be in war, it’s everybody’s opinion, my opinion is only important to me, but I just think it’s an absolute joke, Ralph, that we’re fighting over selfish things. I mean, everybody is jealous of each other, and I wish people would just realize what they have, the folks overseas what they have, you know, if they want to make it a better place, don’t take what we have. Improve what they have. If we want to make it a better place, we don’t need to take what they have, improve what we have. A good example would be that rather than to take all of their oil resources, invent a resource that could run automobiles that wouldn’t take oil. I mean, we’ve got the technology. We can be so smart without taking other people’s assets. It just drives me nuts that we’re even in a war, and that it’s lasted this long. That would probably be my third wish. Ralph Zuranski: What do you think about the answer to Heroes Program and its impact on youth, parents, and business people? DJ Dave Bernstein: I think it’s amazing. I think it’s absolutely amazing. I think that anything that motivates people to be the best person they are, to do the best job they can is just incredible. And you’re doing with the In Search of Heroes Program exactly what I’m doing with my www.DaddyDays.net site. Ralph Zuranski: Well stated. What do you think of things parents can do that will help their children realize that they too can be heroes and make a positive impact in the lives of others? DJ Dave Bernstein: Just constantly tell them you love them. Just constantly be a part of their lives. Tell them that there isn’t anything they can’t accomplish if they put their mind to it and don’t let any of their problems become their children’s problems, whether it be divorce, or an illness, or just having a bad day at your 9-5 job. Don’t take it out on your kids. Just come home and just be a positive influence. And just be interested in what’s going on with their lives. Like I said, if you don’t let people care, they won’t. But you have to be a man; you have to be a woman. You have to want to care, because if you don’t care, your kids aren’t going to care back. You remember the song “The Cats in the Cradle”. Ralph Zuranski: Yeah. I sure do! DJ Dave Bernstein: It’s a great song, isn’t it. It’s about a father who never had the time for his child, and then when the child grew up and the father had all the time in the world, now the child didn’t have the time anymore. Don’t let it get to that point! You know Ralph, you’ve probably seen my laptop the screensaver on my laptop is of myself and of my two girls. Ralph Zuranski: And they’re beautiful little girls! DJ Dave Bernstein: Oh thank you! I appreciate that. The photo on my laptop was actually taken when you and I were attending Joe Polish’s seminar as a matter of fact, and I made sure that I was over there to watch them accept ice-skating awards. I drove all the way from Scottsdale 40 miles to get there, stay there for 30 minutes, and then I drove back. But why did I do that. I did that because that was an important moment in my kids’ lives. I did that because I take incredible joy being a parent and I think that parents need to do things like that. Do the things that the kids expect. But sometimes do things the kids don’t expect. Take the kids out for ice-cream for no reason. Just take them out for an ice-cream. Read a book for no reason. Go out and play ball in the yard for no reason whatsoever. You know, you don’t need a special occasion or an awards ceremony, a birthday, Christmas to be a hero to your children, just simply tell them you care. Tell them you love them, and most important, make sure you show them, because it’s very easy to just take them for granted and then one day you don’t want to be Cats in the Cradle. You want to make sure that someday they’re there for you as well too. That you have a great relationship. Ralph Zuranski: Boy, you know, that’s so true, that’s so profound. Well, Dave, I know how busy you are, and how many different people you work with on doing the audios, and I really appreciate your taking the time to do this interview, and I just want again to tell you how much I appreciate what you do, and just your servant attitude at all the seminars. That’s one of the major reasons why I chose you for the interview. DJ Dave Bernstein: I very much appreciate that and you’ve got to make me a promise here. You’ve got to promise me you’ll keep the In Search of Heroes Program going because it’s making an incredible impact right now, and I have no doubt in my mind that it’s going to become bigger than all of us combined. Ralph Zuranski: Oh with the help of the people like you and all my other internet heroes, it’s going to make a huge difference in the world by spreading good news at a grassroots level and raising up the people that are heroes, basically anybody that helps anybody else, is a hero to me. DJ Dave Bernstein: I have no doubt about it! Ralph Zuranski: Again, Dave, thank you so much.